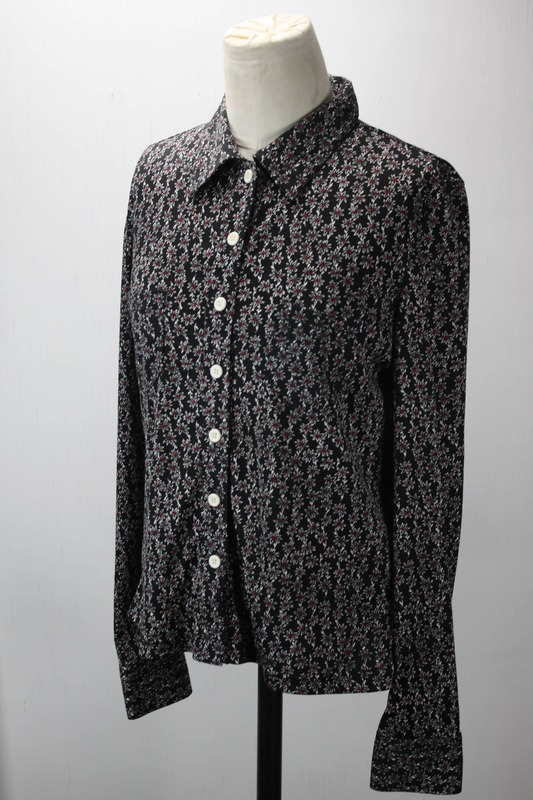 This vintage blouse by American Eagle is in stunning condition! 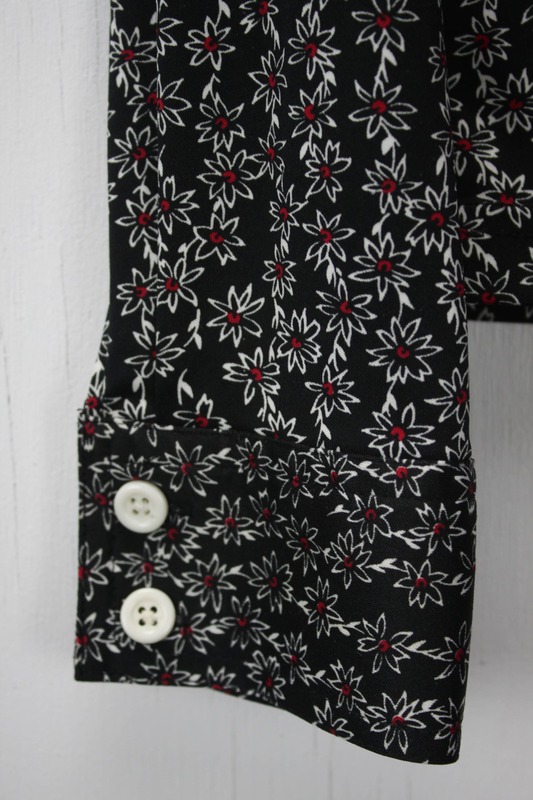 Made from 100% polyester - Has a silky feel and a stretch weave. 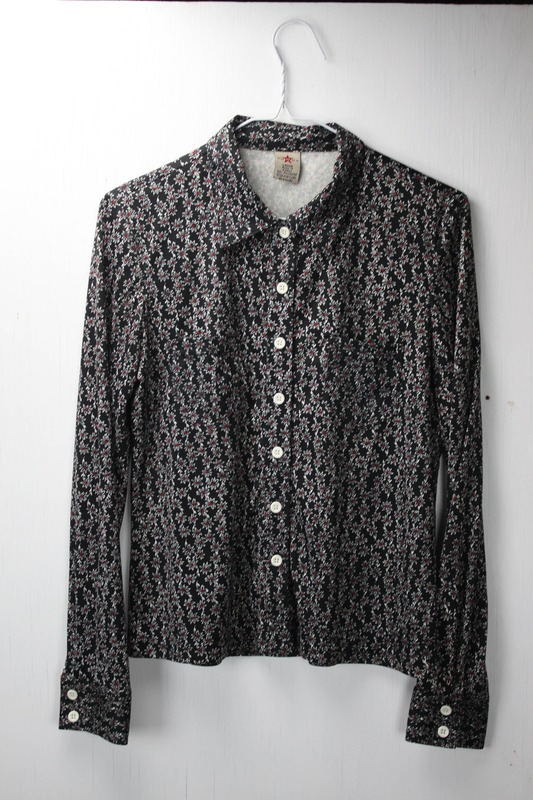 The blouse features a busy pattern of white flowers with red accents and has a "polka dot" feel at a distance. 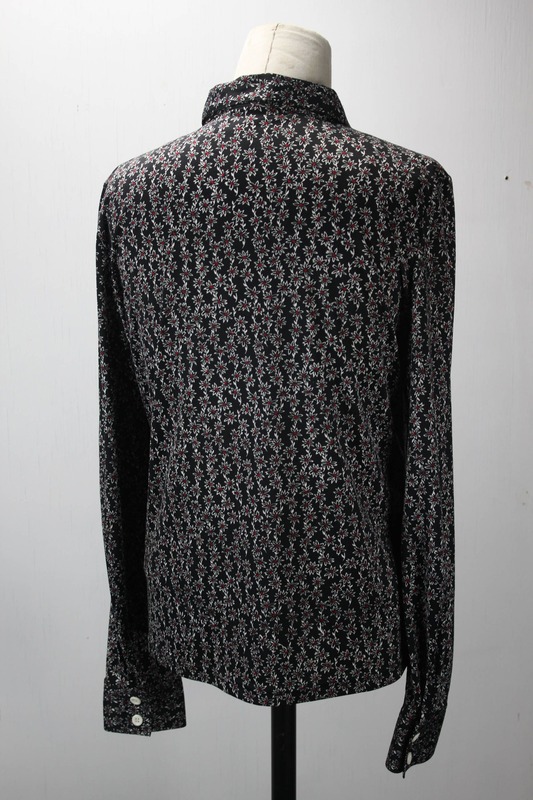 This shirt has a 7 button front closure, single breast pocket and a double button cuff. 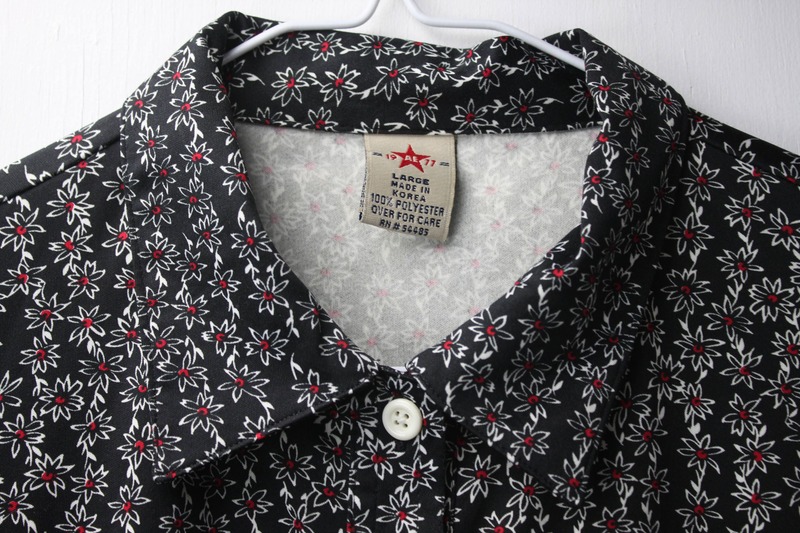 The tag is marked large - however the blouse is closer to a modern medium.